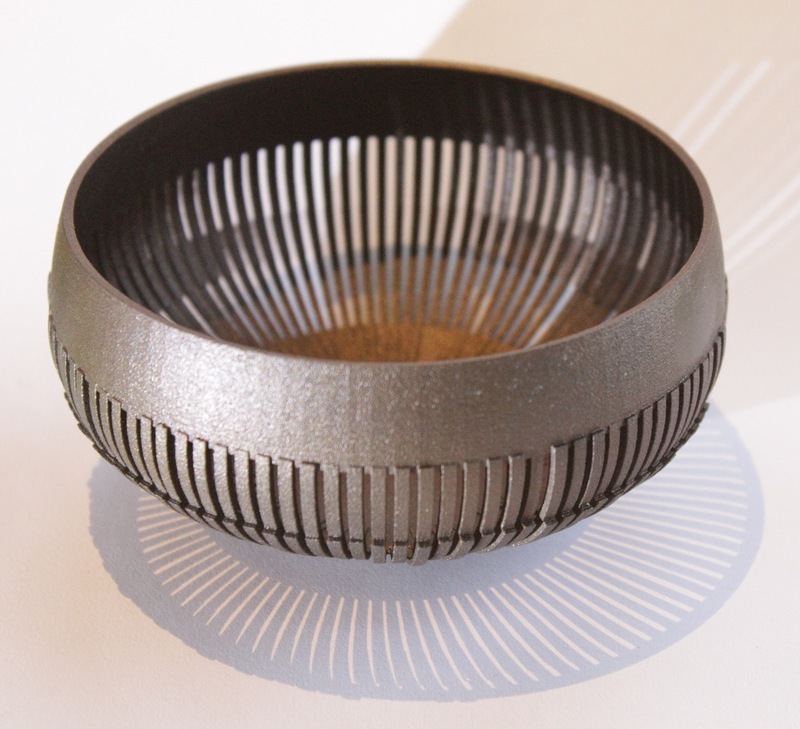 This stainless steel Singing Bowl has been shaped from a year of blood pressure readings. High blood pressure, or hypertension, is known as the “silent killer” due to the lack of symptoms, and because it is a significant factor in many life-threatening diseases. Singing bowls have been associated with stress reduction and wellbeing for centuries. Antique singing bowls were hand-beaten from alloys of up to seven metals that could include Gold, Silver, Mercury, Copper, Iron, Tin, Lead, Zinc, Nickel and other trace elements. The hand made shapes and alloys meant that each bowl had its own individual and characteristic tone. Today, singing bowls fabricated by casting in bronze are more uniform in shape, material and sound. The shape of the Hypertension Singing Bowl has been constructed by Computer Aided Design from a blood pressure readings that produce an individual and unique shape. This shape has then been digitally fabricated in stainless steel to produce an acoustic object that produces a tone when rubbed with the wooden “puja” stick. The acoustics of the singing bowl are individual to the person from whom the readings were taken. The upper part of the bowl is shaped by daily systolic pressure, and the lower part by the daily diastolic pressure. The meditative sound it produces is not only a means of reducing stress, but also a reminder to monitor your well-being, and live a healthy lifestyle. Hypertension was curated for the Embracing Innovation 3 exhibition at CraftsACT Craft and Design Centre, Canberra, 18 July 24 August, 2013.